The quickest way to get on the bad side of a Horror Honey is to claim that there is no point in watching "old movies." First off, who decides what the cut off is to qualify as an "old" movie? (There are plenty of twenty-somethings out there who could consider the original Halloween too aged to take seriously if we play by the rules of "released before I was born.") Second, some of the BEST horror films were released between 1920 and 1935, with a resurgence of classics in the 50s and 60s. 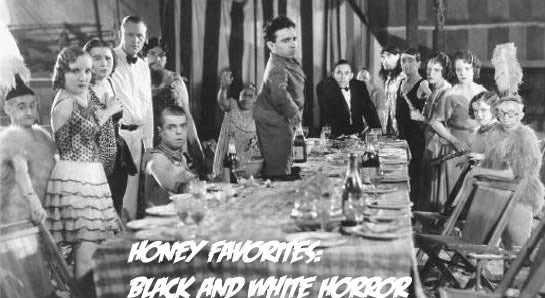 In honor of these golden eras of horror, the Honeys chose to share with you their favorite black and white classics (and one Honey picked a modern homage to these original showstoppers.) So if you think old movies aren't worth your time, this is the perfect chance to take some Honey advice and change your tune! Does your favorite horror film shun the gaudy flair of technicolor? Tell us about it on Twitter, using #classichorror!